We’ve got a great programme of events lined up for the year. Whether you like cycling, music, running or culture, there’s something for you! And our events make a great day out for all the family. We always put on accompanying activities for kids, from a fun run at the half marathon to children’s authors at the book festival. Here is just some of the extra fun for families and kids at this year’s Dunoon Presents events. 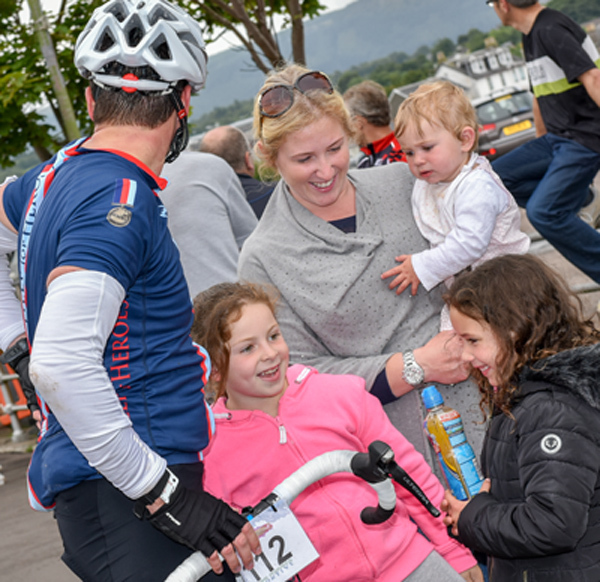 We’ve introduced a family-friendly ’10 miler’ at this year’s Cowal Peninsula Sportive. The ‘Toward Tour’ is a flat coastal route that mums, dads and kids can tackle together. What a great way to introduce youngsters to sportives! Entry is just £5. Sign up your brood here. The Toward For A Tenner Half Marathon & 10K is a fantastic day out in Dunoon. Kids love to cheer on the runners! We also hold a fun run for children and provide family entertainment throughout the day in an event marquee. Last year Astro Ball – playing a game of football while inside a giant zorbing ball – went down with kids (of all ages!). This fantastic celebration of Scottish music, culture and sport kicks off the Cowal Highland Gathering. Kids line the street to cheer on the singers, performers and special guests. There’s always something for budding bookworms at the Dunoon Book Festival. Last year, young readers flocked to hear Mairi Hedderwick talk about her creation, Katie Morag, and life on the fictional island of Struay. We also held a ‘Creative Fun With Words’ workshop at Dunoon Burgh Hall Pop-up Shop. The programme for this year’s Dunoon Book Festival is still being developed, so watch this space! 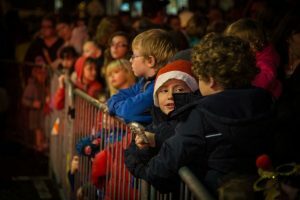 Dunoon Dazzles is all about proper old-fashioned festive fun. As well as the Christmas lights switch-on, we have live music and all sorts of free activities throughout the day, including face painting, street theatre, Santa’s grotto and a reindeer herd. Find out more about events organised by Dunoon Presents. It’s also worth checking out the Visit Cowal events calendar.